Syria's Bashar Assad made a surprise visit to Russia to express thanks for Moscow’s help in the fight against terrorism. 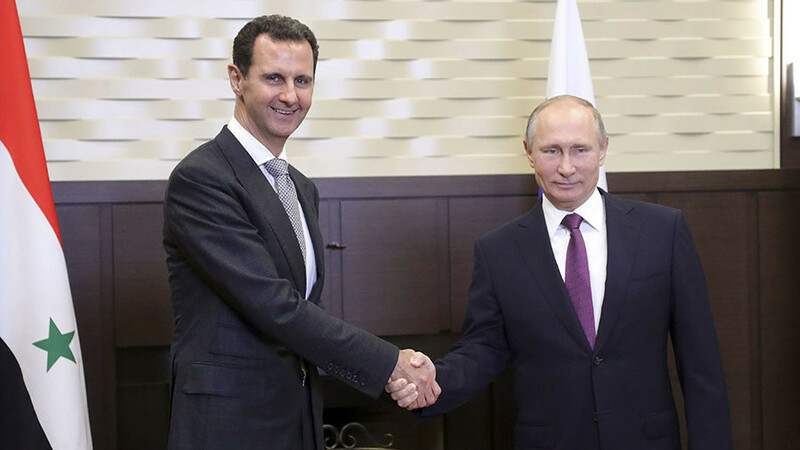 At a meeting with President Putin, which began with an embrace, the leaders discussed the Syrian political settlement ahead of Moscow's talks with Iran and Turkey. The visit by President Assad to the Black Sea resort of Sochi was not revealed until Tuesday, after he had already left Russia. 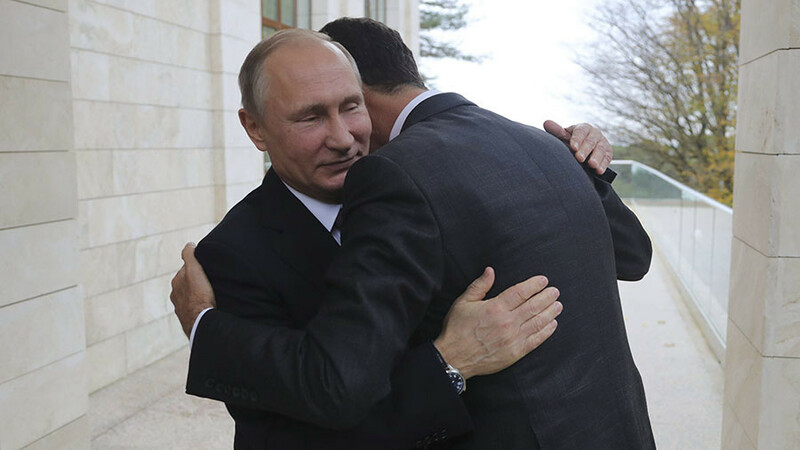 Footage and photos released by the Kremlin after the event show the Syrian leader, dressed in a dark grey suit and light grey tie, embracing Vladimir Putin and shaking his hand on the porch of a presidential residence in the southern Russian city. The two leaders then moved inside for a photo op and formal greeting speeches, before a nearly three-hour round of talks behind closed doors. Afterwards, Putin took his Syrian guest to meet Russian generals who were in Sochi to take part in defense-related government talks. In 2015, Russia sent its warplanes to help Damascus fight against extremist Islamist forces trying to overthrow the government. The operation prevented a collapse of the secular Syrian state, and paved the way for a political dialogue with opposition groups who see a future for Syria not based on extremist ideology. The joint Russian-Syrian military operation took place in parallel with diplomatic efforts to establish a ceasefire in large parts of Syria and facilitate direct negotiations between the government and moderate opposition. Turkey and Iran played a crucial role in negotiating the so-called “de-escalation zones” and are actively involved in furthering a political transition in Syria.